Founded in 1986, Max Stout Studio offers clients a relaxed recording environment while providing musicians quality services and an experienced staff. Located half way between Kansas City, Omaha, Des Moines, and Topeka, Max Stout Studio is the Midwest's best kept secret. Max Stout Studio started as a rehearsal and recording facility for the touring group Britt Small & Festival, a band that traveled throughout the United States and Canada (2 1/2 million miles - whooo!) and resided in the Skidmore Missouri area. After recording 5 albums in facilities in Canada and the Midwest, Mark Reinig and Stan Funston began designing the former 100 year old hardware store into a space for recording the 10 piece group. Starting with analog gear in the 1980's, Max Stout Studio converted to Digital using Tascam DA88 machines in the early 1990's, then went "in computer" in 1998. The group went on to produce 12 more albums under the Max Stout record label before retiring from the road in 2001. Now using Sweetwater computers, Onyx and Aphex preamps, and monitors by Blue Sky, Event, and Tannoy, Max Stout has a 34' main room for audio/video/photo sessions and 2 isolation rooms for vocals and acoustic guitars. The studio can also "go on the road", providing multi-track audio, 2 camera HD video, or photo shoots. Max Stout Studio is actually a community of creative people who have pooled their talents to provide a "start to finish" service for the Northwest Missouri four state region. Mark has been involved in music his whole life, playing in school bands, choirs and rock and roll bands playing trumpet, French horn and drums. A graduate of Northwest Missouri State University with a degree in music, Mark went on the road following school and performed across the United States and Canada. He has also performed on over 30 albums. He loves leading worship and is an advisor in the AGLOW ministry. Playing guitar since high school, Stan studied at NWMSU then went on the road, playing and recording guitar and steel guitar for Festival. He was the designer for the staging, lighting and sound systems for the group and designed and built the rooms and wiring for Max Stout Studio. 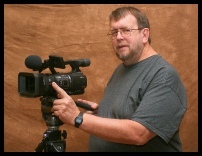 He is video editor for the studio and principle live sound engineer for Max Stout Studio. Since childhood, Richelle has always had a passion for art and photography following in the footsteps of her father. In 2006, she moved to Dallas, TX where she received a diploma in Advanced Theology from Christ for the Nations Bible Institution. She returned to Missouri and began working with Max Stout Studio in 2009 as Director of Art and Photography. Gavin Lendt has been composing for the past 17 years and has built a reputation for compositions incorporating rich harmonies and dramatic counterlines. 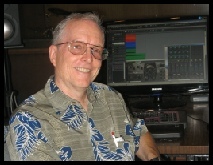 With numerous works published for bands, choirs, small groups and symphonies, Gavin has contributed arrangements to the music of many of Max Stout's clients. With his understanding of orchestral colors, Gavin has been a real asset to the Max Stout team. A graduate of NWMSU in music education, Becky played on the road professionally for over 20 years. 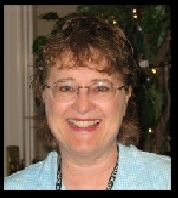 Now specializing in childhood music education, Becky is a published writer, having co-written curriculum for "All Aboard, The Music and Math Connection". Besides duties as keyboardist for Max Stout, she also teaches adult and children's piano and guitar in the NW area.